Lytica brings visibility to supply chain risk and cost – fast. Modern electronic products such as PCs, communications servers and automobiles contain thousands of commercially available electronic components. Lytica’s statistical and analytical artificial intelligence (A.I.) tools sift through millions of these components to spot pricing anomalies and supply risks for our clients. Until Lytica’s A.I. enabled analytic tools, commercial electronic component cost benchmarking was nearly impossible. Our tools enable significant cost reduction through A.I. enabled business practices. We help improve our clients’ competitiveness productivity and supply chain vulnerability. Join the leaders of industry in modernizing your sourcing, component management and negotiation processes through Lytica’s transformational applications. Our flagship product Freebenchmarking.com® (FBDC) instantly characterizes your spend by commodity while providing pricing targets down to the individual component level. Enabled by the largest independent database of current real user pricing, Supply Chain professionals gain the knowledge they need to negotiate and improve cost competitiveness. Improve your electronic component pricing, market leadership and profitability with our straightforward data driven benchmarking and prediction solution. 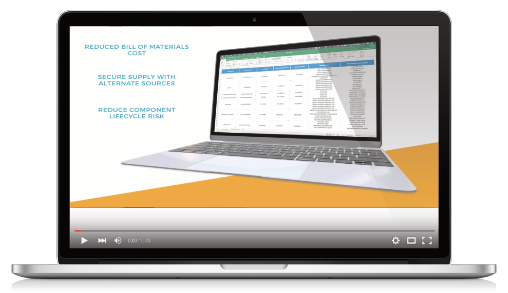 Lytica’s FBDC Gold Report delivers a detailed line by line analysis of your electronic component spend to reveal many hidden cost savings opportunities within your supply chain. 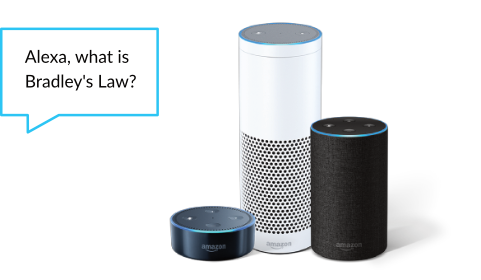 A company should expect to pay for a specific electronic device a price commensurate with their Competitiveness within that particular commodity. This Competitiveness is the measure of how the supply chain sees the company. Ken Bradley, Founder & CTO, Lytica Inc.
Lytica’s approach to price prediction quantifies competitiveness and uses it as proxy for the overabundance of variables that impact your component pricing. Too many variables and unknowns make traditional approaches to cost estimation error prone and unrealistic. Customers have proven time and time again that Lytica’s prediction approach delivers high ROI with minimal effort compared to traditional techniques. The Merger & Acquisition (M&A) report calculates available savings to acquiring companies. We identify electronic component pricing disparities within the merging companies electronic supply chains, allowing for immediate and actionable savings through lowest price standardization and accurate inventory valuations. This highly effective confidential report can be generated pre, post or during any acquisition process enabling better estimates of synergy savings and faster time to results. This report is ideal for use in any acquisition or interdivisional company consolidations. The success of a merger or acquisition is often measured by how quickly the estimated synergies can be realized. Lytica’s M&A Synergy Savings allows companies to ascertain the commonality in electronic parts and usage as well as the pricing disparity between two or more companies. 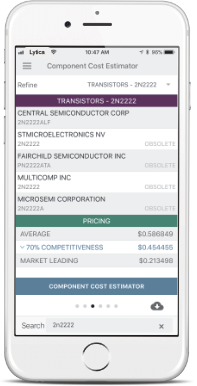 Component Cost Estimator (CCE), an evolution of Freebenchmarking.com, is the electronic industry’s first real-time market pricing and alternate sourcing tool. CCE provides instantaneous electronic component costing based on current market prices and recommends second source alternatives. Component Cost Estimator draws on the world’s largest independent database with millions of electronic components of actual prices paid by real customers. 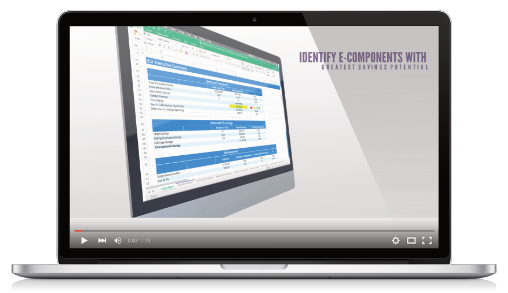 Component Cost Estimator (CCE) was developed for electronic product designers, product line managers and purchasing professionals (including those within Contract Manufacturers/EMS Providers). Manufacturing part numbers are entered as single components or in groups using excel. The results are displayed showing pricing, sourcing alternatives and lifecycle. Component prices are displayed as average, market leading and fair market value as set for your company. Alternate sources for the components are also listed. Discover your electronic component competitive advantage today. 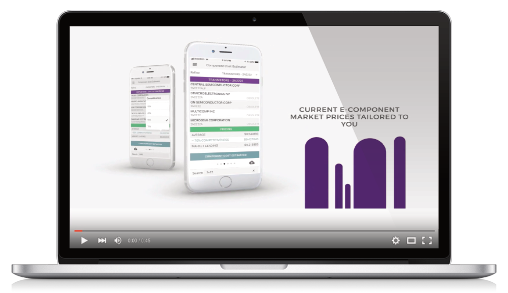 CCE Mobile is the industry’s first real-time mobile market pricing and alternative sourcing tool for electronic components. This revolutionary mobile application is an anytime anywhere pricing and alternative sourcing solution for supply chain professionals, product managers, electronic and hardware designers within OEMs, ODMs, EMS and distributors. CCE Mobile, your e-component negotiating advantage, is available for iOS and Android devices. Download CCE Mobile today, free for 14 days, to discover your e-component competitive advantage. Participants will be introduced to the concept of Analytics Based Negotiation through market price normalization and gain the confidence needed to negotiate around the supply base’s resistance to change. 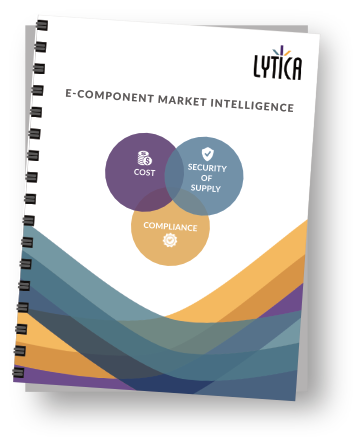 The Lytica courseware is designed for anyone ultimately responsible for the price of their electronic components. Register your SCM team today! 1/2 & Full* day events available in person or via webinar.